Struggling with your weight is an issue that many Americans are familiar with. This type of struggle can decrease your quality of life, causing health complications and limiting you in various areas of life. At Southcoast Health, we are proud to offer our community several options for weight loss surgery in Fall River and Wareham, MA, as well as across Cape Cod and Rhode Island. Whether you suffer from high blood pressure or diabetes, or you would like to enjoy a more active life, our bariatric team at the Southcoast Center for Weight Loss will work with you to develop your individualized plan of care and help you lose weight. If you’re struggling with your weight, know that you are not alone. Millions of Americans fall into the category of clinically severe excess weight (more than 100 pounds overweight with a BMI greater than 40). In addition to morbid obesity, many are suffering from type 2 diabetes, sleep apnea, and other medical conditions. At the Southcoast Center for Weight Loss, our unique weight loss program is designed to incorporate a thorough approach to weight loss surgery, utilizing a team comprised of dietitians, psychologists, nurses, physician assistants, and surgeons to provide a safe and comprehensive surgical weight loss program. We’re trusted in our community because we’ve helped thousands of patients get their weight and their life back on track. Hear what some of our patients have to say about the Weight Loss Surgery program at Southcoast Health. Our comprehensive weight loss surgery program consists of a team of experienced health care professionals who are focused on your success and bringing you the results you are looking for. From a full spectrum of pre-op classes and consultations to post-op support groups, we are here to facilitate long term solutions through surgery, diet, and exercise. Eat less, feel full, and lose body fat. 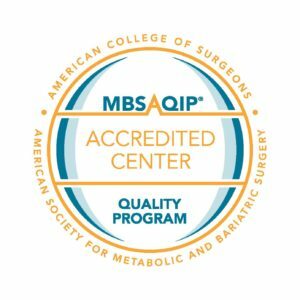 As Tobey Hospital is accredited by the Metabolic and Bariatric Surgery Accreditation and Quality Improvement Program (MBSAQIP), we have a proven track record of consistent, positive outcomes for patients undergoing bariatric surgery in Fall River and Wareham at Charlton Memorial Hospital and Tobey Hospital. Attend a seminar (or watch one online) to learn more and find out if you’re eligible for weight loss surgery, then contact a bariatric specialist near you to schedule a consultation to discuss your weight loss goals. Southcoast Health provides many surgical services, including weight loss surgery, for patients in Fall River and Wareham, MA, as well as parts of Rhode Island. Please contact our weight loss centers today to find out if weight loss surgery is right for you.